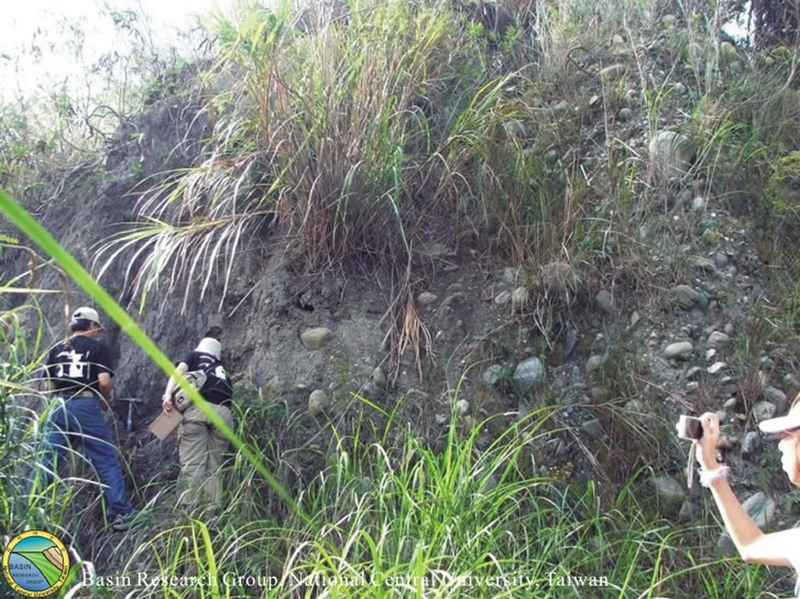 The Chishang Fault (southern segment of the Longitudinal Valley Fault) is well exposed at the southern bank of the Bei Chi, adjacent to the southern entrance of the Fuli town (Fig. 1). 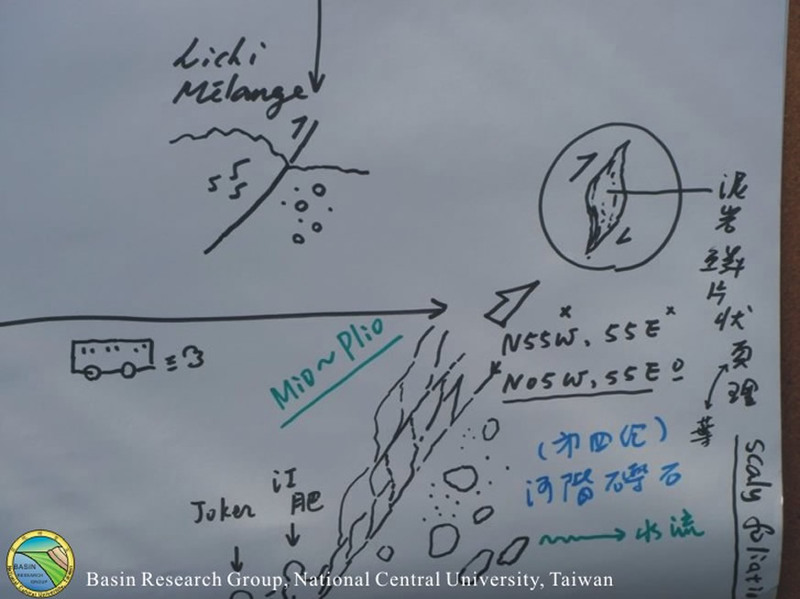 It is a thrust fault with minor left-lateral strike-slip component. This fault trends N20°E and dips towards East. Measured pitch of the slickenside lineation is about 70° to 80°S. The hanging wall of the fault is composed of the Lichi Melange with various exotic blocks and scaly muddy matrix. 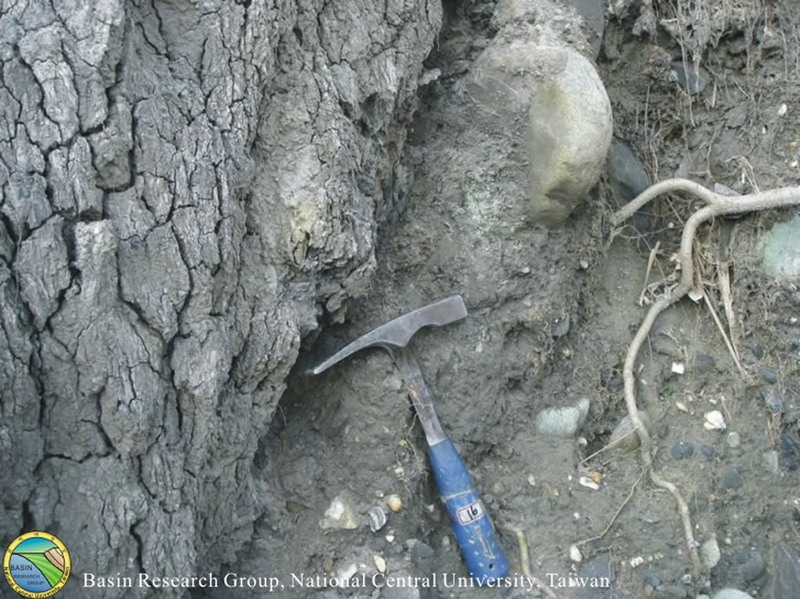 The footwall of the fault is composed of recent alluvium deposits with metamorphic conglomerates and mud-sand matrix. Deformed structures of folds and shears in the footwall could be detected a few tens of meters away from the fault contact. 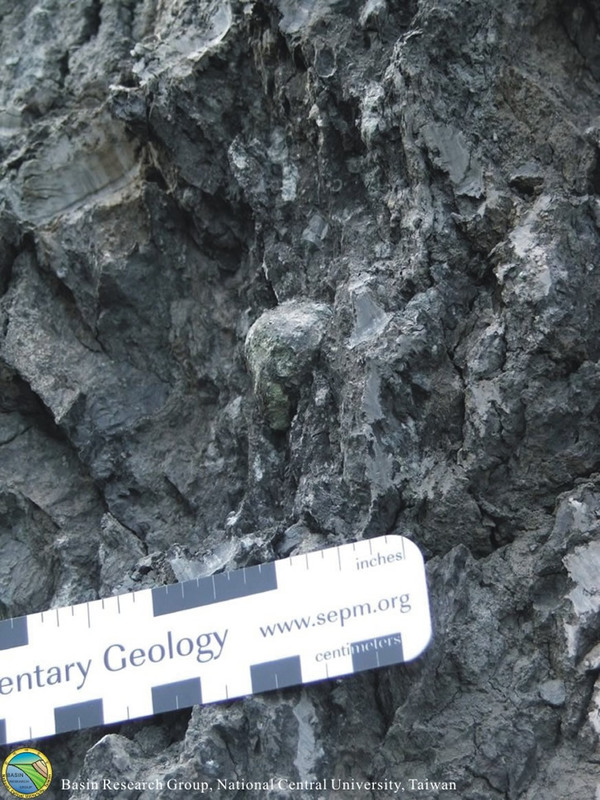 Abrupt topographic change located at the fault contact is obvious. 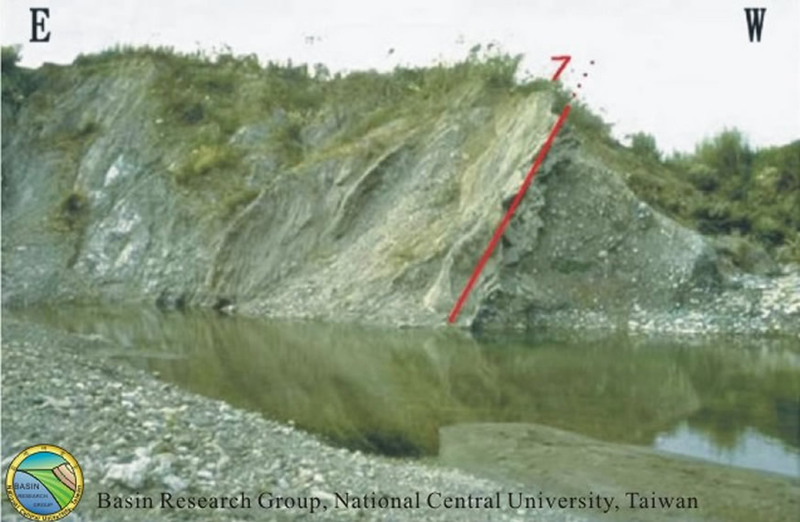 Hsu (1956) has reported an exposure of slate of the Central Range metamorphic terrain, beneath the bridge and about 100 m west of the contact. Unfortunately, the outcrop is presumably buried by civil structures. 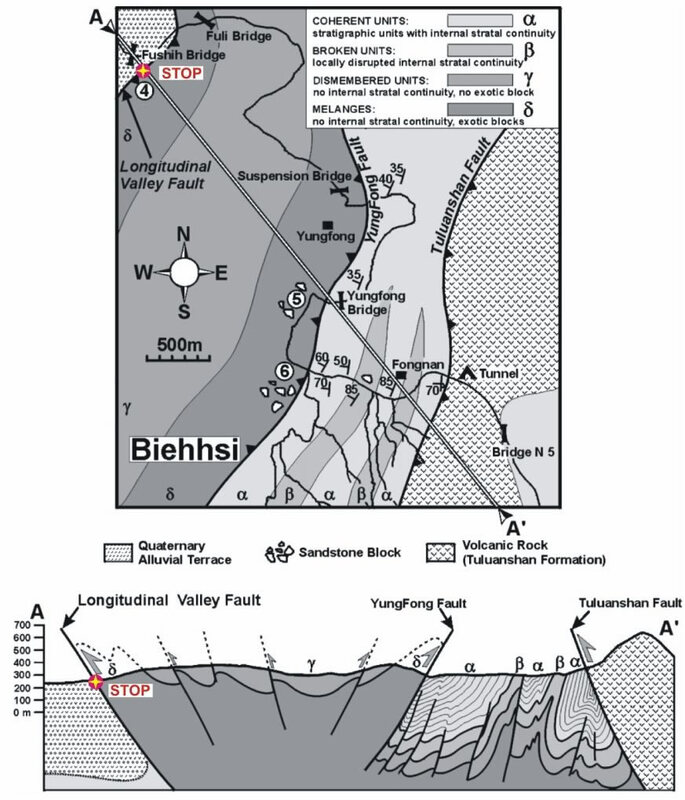 The Lichi Melange and the recent alluvium deposits are exposed to the east and west of the Chishang thrust Fault (marked by a thick red line), respectively (at the southern river bank of Beichi). 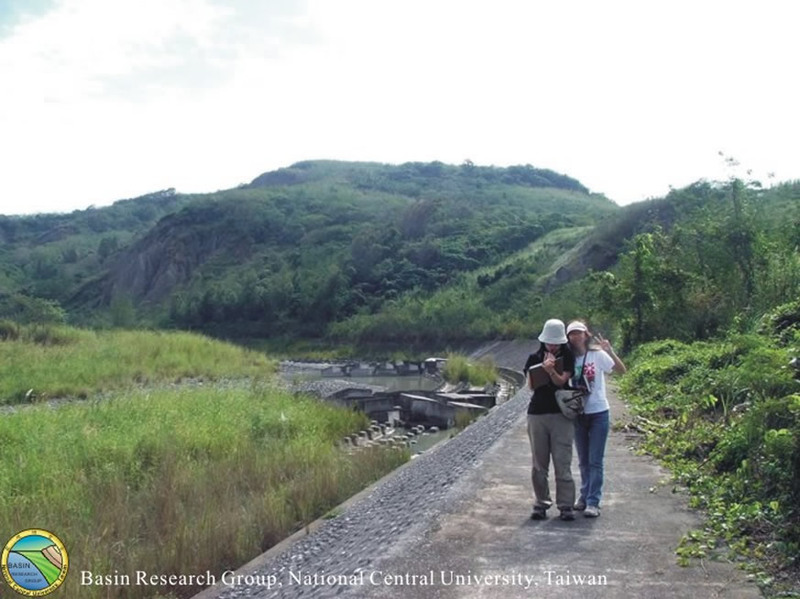 Different levels of river terraces were related to the activity of the active Chishang Fault. Panorama view towards the Chishang Fault. Photograph was taken at the same place as Figure 2.